What do I know for sure? Jesus, I don't know. I don't even know what day it is. I'm all kinds of confused. My kids went back to school yesterday after being home from school since December 19th. I should be doing a dance in my kitchen. I should be rejoicing. But instead I feel all mopey and sad. I don't like the quiet. I miss them. What the hell? I mean seriously, what the hell? Who am I? Damn you Polar Vortex, you are really f&*king with me. 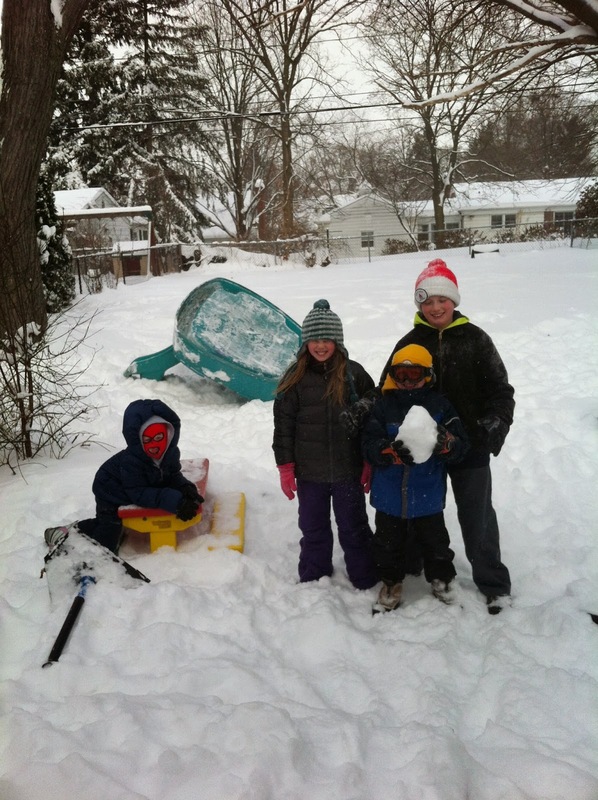 My kids had a real blast playing with each other, the last week especially. (Click here to watch some of our week.) Hockey games, card games, writing stories, reading aloud to each other, singing the songs from the Frozen soundtrack over and over and over. It wasn't all perfect. There were moments when I needed to separate them. There were moments when I literally had to sacrifice my personal safety and step into the middle of a "tackle" game to break it up before someone got a concussion or a black eye. I had more than one long talk about having compassion for each other and forgiving one another. There was all that, sure. But there was more spontaneous acts of getting along than I could ever have imagined. Yeah, that's the baby pool in the background. They turned it into a pretty sweet fort/snowball fight perch thank you very much. Which means I can justify not putting it away for the season, right? Playing our new favorite game 5 Crowns and sipping warm cocoa. 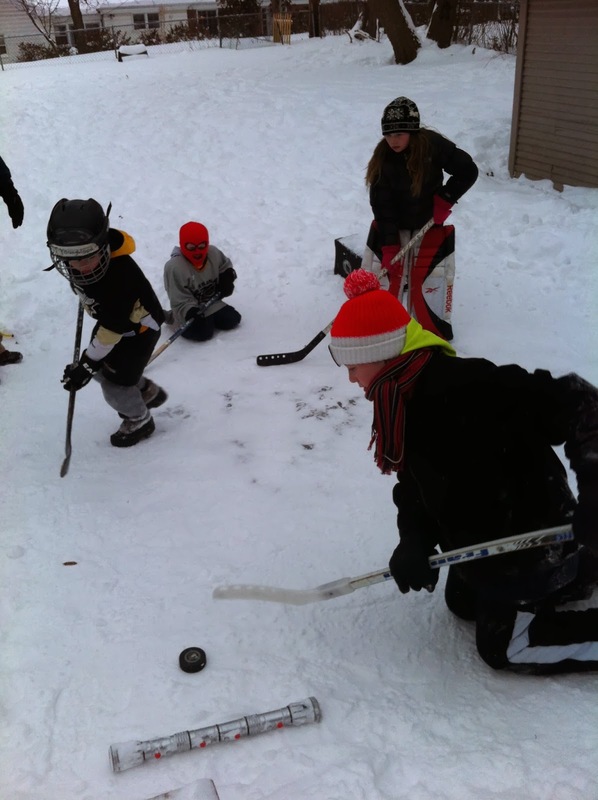 They got all suited up and took their ice-patch-in-the-backyard hockey game pretty seriously. I had to run outside on a couple occasions when I heard one scream excitedly "hockey fight!" I'm sure next week, life will be a little more back to normal, well as normal as we get anyway. But I guess what I know for sure this week, right now, is that I love being with my kids and I love watching them love each other. Four is a really fun age. Wade is getting cuter & saying a lot of funny stuff. And just imagine everything he says with the most adorable Cindy-Brady-style lisp. Oh my God! I love it. You know, when he's not tackling people. I call this his Macklamore look. He was playing dress up with Lucy and that's my rabbit coat circa 1981. Yup. I don't know where he's getting the teenage girl duck face from though. He's so proud. He's all "my work here is done." My kids loved the movie Akeelah & the Bee. We found it on Netflix and it's about spelling bees. And it's just fabulous. 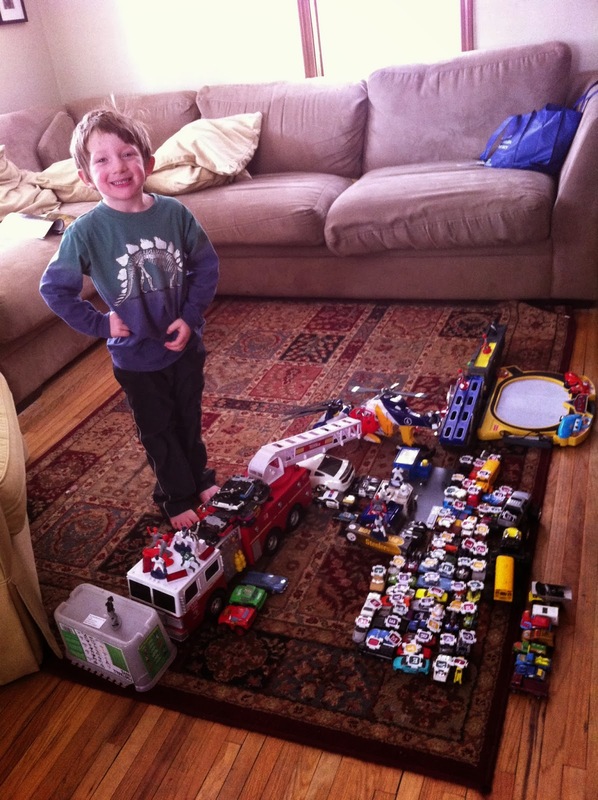 Even the 4-year-old got into it. Got Netflix? Got kids? Don't have kids? Check out this movie. No violence. A couple swear words. Great message. It's official, Wade can now rack up overdue fines at the library like the rest of the family. He is a card holder as of yesterday. All kidding aside (I'm not kidding we all have late fees, we are incapable of turning in books on time), Wade was so excited about getting his card. So cute. What do Nirvana, Adele and Eminem have in common with me? Um, a stage. Yeah, that's right we booked the venue for Listen To Your Mother (LTYM) Metro Detroit and it has a pretty amazing history. On May 4, the show I'm co-producing happens on the same stage that so many artists have been on. I get chills thinking about it. 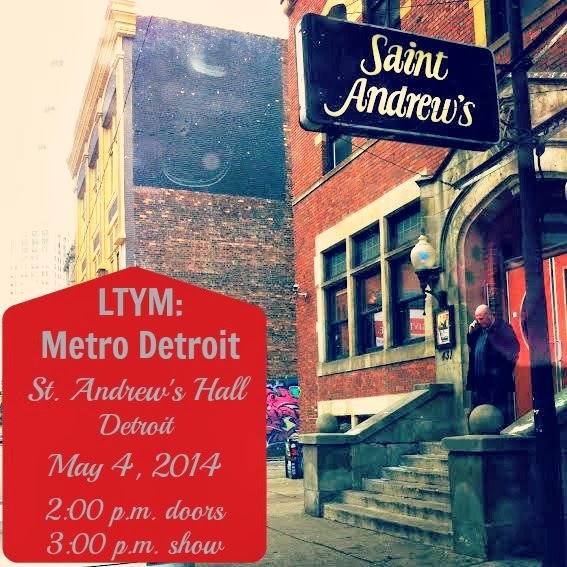 Click here to find out more about LTYM Metro Detroit. I am sad that SoapNet the channel doesn't exist anymore. Writing makes me happy. Even when it's about sad stuff. 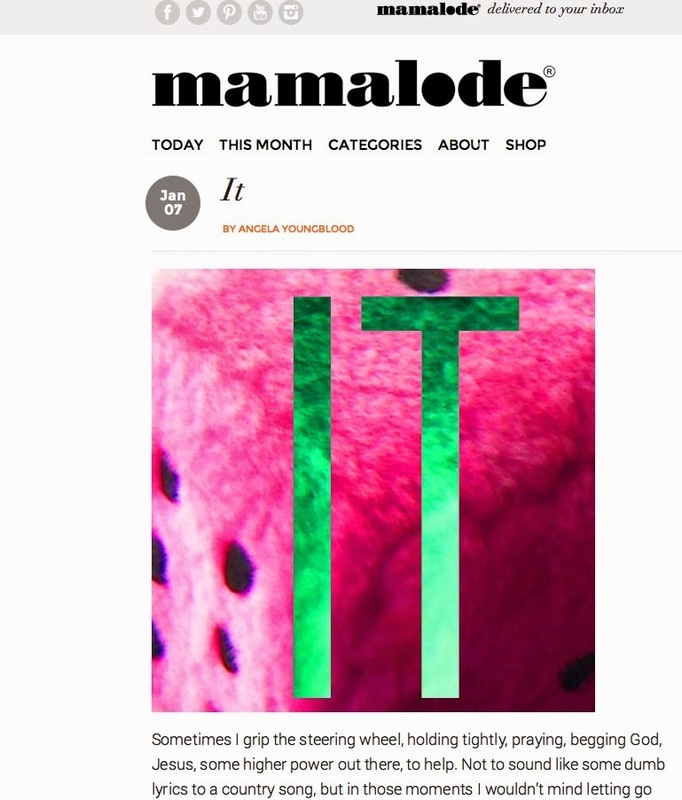 I am so excited that I got to share a story on Mamalode because I love them. I love red wine and I cannot lie. I am trying to be healthier in 2014. I stopped eating mostly during the day. But I refuse to stop having a few glasses of red wine a night week. I will be unavailable to talk about anything but award show buzz on Sunday evening. I didn't even see many/any of the nominated movies, but I love Tina and Amy so much and they are hosting the Golden Globes. Come play with me on Twitter during the show-@AngelaYBlood. What do you know for sure (this week)? C'mon, we're friends, share what you know. Leave a comment here or on my Facebook page or on Twitter. I'm linking up today with my friends Greta from Gfunkified.com and Robin from FarewellStranger.com for the #iPPP link up. 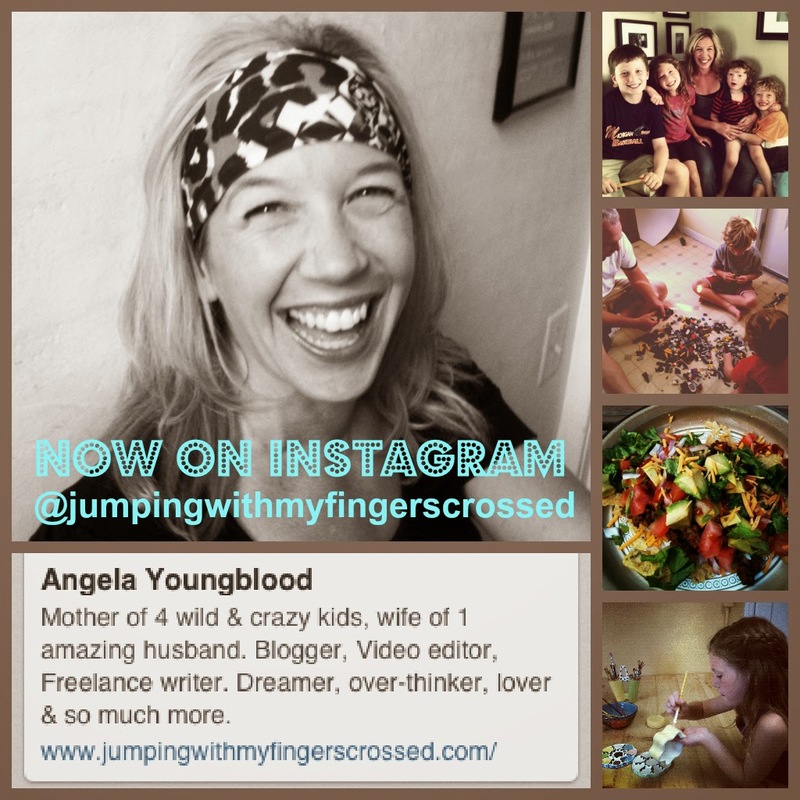 They host a link up where they encourage people to share "your funny, your yummy, your heartfelt, your favorite photos of the week" from our phones. I love that you love being with your kids as much as you do. Congratulations on Mamalode (I love them too!) and good luck with LTYM! I really do love being with them. And thank you!!!! Thank you for your encouragement and your support! This post made me shiver, with all the snow! But there was a lot of warm cuddling, too, eh? 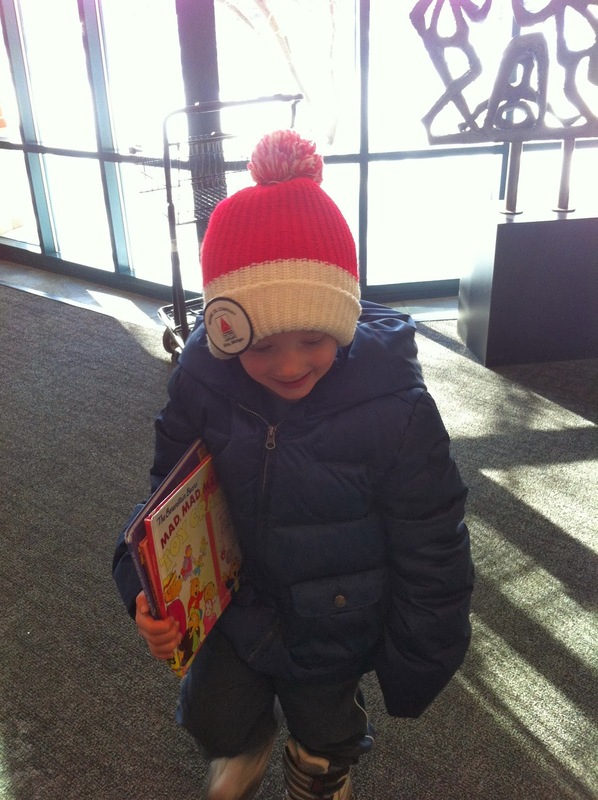 :) And HOW CUTE is he with his little library card?!?! Please tell me that you shuffle around library cards and use the one with the least amount of fines. If you hear someone cheering at checkout, it's me! You know we do!!! lol.